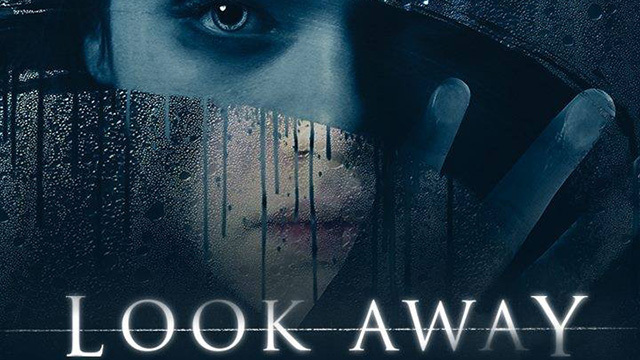 After watching the trailer for Assaf Bernstein’s new film, Look Away, and seeing no real advance-review buzz, I expected it was another go at a by-the-numbers, bullied-teen-makes-pact-with-mirror-demon-to-get-revenge yarn. Not so intriguing, but with the ever-charming Jason Isaacs, the talented Mira Sorvino, and India Eisley, daughter of longtime horror-favorite Olivia Hussey (Black Christmas, Psycho IV, IT miniseries), I figured maybe it would be at least a passable go at that tired trope. Well, what a pleasant surprise! The film is not only an absolutely worthy extension of its base, but a thematically driven joy, far denser and smarter than its teen-appeal look gives it credit for. Eisley is absolutely stellar at portraying mirror twins Maria and Airam, who are not the typical good/evil doppelgänger pair, but rather a co-manifestation of our acceptance of difficult realities and the internal words and actions we most dream of shouting and taking during those moments we replay in our heads. Eisley’s ability to begin the film with a strong contrast for the two characters and evolve each to meet somewhere in the middle is the best dual turn I’ve seen since the reminiscent performance of Jeremy Irons as twin doctors in Dead Ringers. Both Eisley’s repressed Maria and her literally and figuratively liberated Airam are nuanced characters that hold up even when surrounded by tropey, flat peers in trite social scenarios. While Isaacs (“Dan”) and especially Sorvino (“Amy”) have somewhat less to work with in their roles as Maria/Airam’s parents, they both do a tremendous job of extending the material to make everything hit home. They are each impossible to not enjoy on screen. 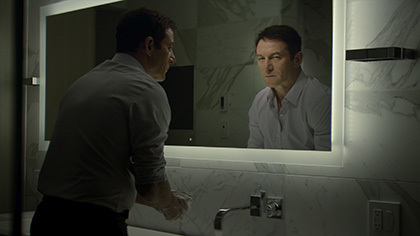 And if the film is really focused on the young girl’s repression and liberation, Dan and Amy serve as agents of suppression, each fighting their own realities; plastic-surgeon Dan, through action to alter others where he cannot alter himself, and Amy, through denial of her own lonely circumstances. Both parents love their daughter, and even if their actions sometimes seem sick or wrong, they earn your empathy. Most importantly, we can believe and understand every perspective. Apart from maybe a two-dimensional bully, who is more of a catalyst than a player, the film really does not have a true antagonist. And while a few home-stretch concessions of Airam’s near-evil/evil “demon-in-the-mirror,” a need to ground the figurative in the literal, and some high-school corn peppered throughout can stand in the way of perfection, the movie is damn good with its characters and narratives. The cinematography and the visual language of the film are both extremely noteworthy as well, with mirrors, reflections, and highly motivated camera movement used constantly to layer and unpack. The final shot of the film, set up earlier with what just seems like interesting aesthetics, is a home-run payoff after some slight weakness and stalling in the third act, which feels ever-so-slightly uncertain about committing to be the movie that is as intelligent and surprising as it ultimately is. While I suspect the film may not make a big initial splash, as it is a difficult work to target properly, I hope that as people see it and spread the word, it will find an audience that looks beyond its surface appearance. As with Maria’s reflections, we can’t always see the complex truth at a glance.